Everything you need to know about internationalized.. 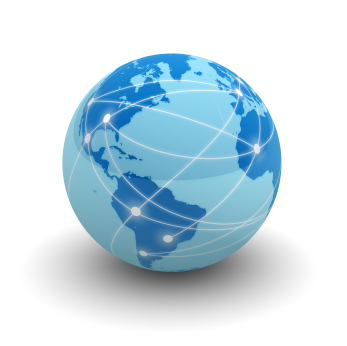 Thanks to Internationalized Domain Names (IDNs), the Internet is becoming truly global. IDNs were long waited for and even though there are some concerns in relation to them, there is no doubt that IDNs will move the Internet one step further. What Is So Special About IDNs? If the only language you use is English, you will hardly fully appreciate IDNs, but for billions of people all over the world, who are bilingual, or who don't use English at all, Internationalized Domain Names are a remarkable step in the development of Internet. According to the definition of ICANN, "Internationalized Domain Names (IDNs) are domain names represented by local language characters. Such domain names could contain letters or characters from non-ASCII scripts (for example, Arabic or Chinese). " However, IDNs are not limited to languages with only non-Latin alphabets, such as Arabic or Chinese. Many languages, which use a Latin-based alphabet, such as Spanish, German, French, or to some extent Russian, will also benefit from IDNs because now it will be possible to write domain names in these languages exactly like the words are supposed to be spelled rather than transcribing them into English. For instance, if you wanted to have a German domain such as Bűcher.com (Books.com), you couldn't use the umlaut symbol and you had to write it either as Bucher.com, or transcribe it using the "ue" notation for umlaut (i.e. Buecher.com). For a German speaker both workaround variants were readable but still they were a workaround, not a solution. Now, with IDNs, these issues are history. Unlike domain names up to here, which used only ASCII symbols, IDNs use Punycode. It was this ASCII limitation that didn't allow for non-ASCII symbols in URLs and domain names. This limitation wasn't in vain because the whole Domain Name System (DNS) was designed to work only with ASCII symbols. A modification to the Domain Name System was required in order to make IDNs happen. In other words, it was necessary to find an acceptable way to translate non-ASCII domain names into ASCII symbols, which then can be resolved into an IP address. After decades of hard work, finally a solution was reached and at the end of 2009, IDNs became a reality. The Internet is becoming really global. English might be the most popular language in the world but there are so many people who don't use it, or who use other languages together with it. Until now these billions of people were deprived of the possibility to have domain names and URLs in their own language. Now, when this is history, it can be presumed that the Internet will reach many more people, who previously were either completely offline, or who used the Internet only in a limited way. More user-friendly. Even people who are fluent in English will be glad when they can write a domain name or an URL exactly the way it is supposed to be written - i.e. without substituting the special symbols in Latin-based languages, or without transcribing non-Latin languages into English. More domains will be available. Good domain names are hard to find because it seems that all of them, especially the .com TLDs, are already taken. Now, when more symbols can be used in a domain name, there are many more domains available. If you add plurals and other derivatives to that, the number of potential domains almost seems endless. A new business niche for domain registrars. IDNs are still categorized as news but there are already domain name registrars, who offer registration for different Internationalized Domain Names. IDNs will become a hot business niche in the next years, especially for registrars from countries where non-Latin languages are native. IDNs are a great step towards the true internationalization of the Web. It might seem as if this step should have been taken many years ago but the technical, as well as some other concerns, that prevented it from happening are too serious to be neglected. Some of these concerns are still not resolved but nevertheless, we can congratulate ourselves for welcoming IDNs. Scams are easier because different domains look exactly the same. The major concern is that now, when symbols from different alphabets can be used, this will make it easier for scammers to fake legitimate domains. For instance, all these three domains look exactly the same: webhostingsearch.com, wеbhostingsearch.com, and webhostingsеarch.com. However, only the first one is the actual webhostingsearch.com domain because in the other two only one letter (the first "E" in the first domain name and the second "E" in the second domain name) is actually the Cyrillic letter "E", which looks exactly the same as the Latin letter "E" but it is a different Punycode symbol and as a result it is a totally different domain. For an end user this subtle difference is quite unnoticeable and it is really easy to fool him or her with a domain name, which looks so much exactly like a legitimate domain but is a phish. Multiple spellings of the same name. In addition to different domain names that look exactly the same, another concern is that in some languages it is possible to spell a domain name in many ways (all of which are correct). For instance, in Hebrew it is common to omit vowels, so actually you can end with 3-4 alternative spellings for the same word. The situation in Chinese is even worse. Well, this doesn't mean that you need to register domains with all the alternative spellings but if you don't do it, your competitors can take advantage of that and register the free alternative spellings of your domain name. A language barrier. An IDN domain name poses a language barrier for everybody who doesn't know the language. It is possible that you have a domain name in Chinese and texts in English (or at least an English version of your site) and in this case a foreigner, who doesn't know Chinese can arrive at your site only by following a hyperlink and not by typing the URL in the browser. IDNs are great only if a site doesn't have international users but for a site with a large international audience they are a language barrier. Browser support/DNS issues. Though all the major browsers say that they do support IDNs (or that they plan to do it in the near future), surprises can be expected. However, the conversion from Punycode to ASCII can cause DNS problems and in any case it might increase the implementation and deployment costs for applications. Additionally, many applications need to be rewritten in order to work with IDNs, which is also an issue. Some of these IDN concerns are pretty serious and when IDNs become widely used, there might be serious problems. However, in many aspects IDNs were inevitable, so no matter if they pose difficulties or not, they needed to be accepted. With all the revolutionary benefits IDNs have, we just need to put up with the disadvantages and try to find painless solutions to them. Well, there is a half way solution - who really need to have xn-etc-etc.com ?